Within our school we subscribe to Mathletics. 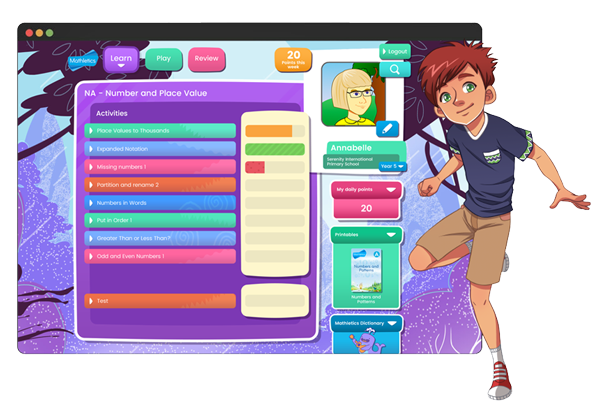 This is an on-line maths website which challenges children to apply the skills they have been learning. Your child's class teacher will give your child their individual log in details so that they can access the website from home too. A link to Mathletics can be found below. Sometimes the teacher might set specific tasks aimed at your child's ability or your child can simply play mathematical games to support their learning. The option of playing against other children in other schools around the world is also available if you wish your child to do so. If this is the case, it is essential that you reinforce the keeping safe on line guidelines that are taught throughout school. (see our e-safety support within the parents section of this website).